A new health center for Osceola County Sheriff’s Office members and their families is open, with officials saying they hope the on-site care will help first responders and their families get and stay healthier. Care is provided through a partnership between UCF Health, the UCF College of Medicine’s physician practice, and My Health Onsite, which specializes in employee health and wellness center operations. The new center serves patients age 8 and above with a focus on personalized, preventative care. Sheriff’s Office employees get free care without co-pays or insurance claims. On-site prescriptions, lab work and vaccinations are also free. The center provides primary care, sick-day visits, gynecological exams, personalized health risk assessments and maintenance of diseases such as hypertension and diabetes. The actual costs of those services are passed onto the employer, plus an administrative fee for operating the program. 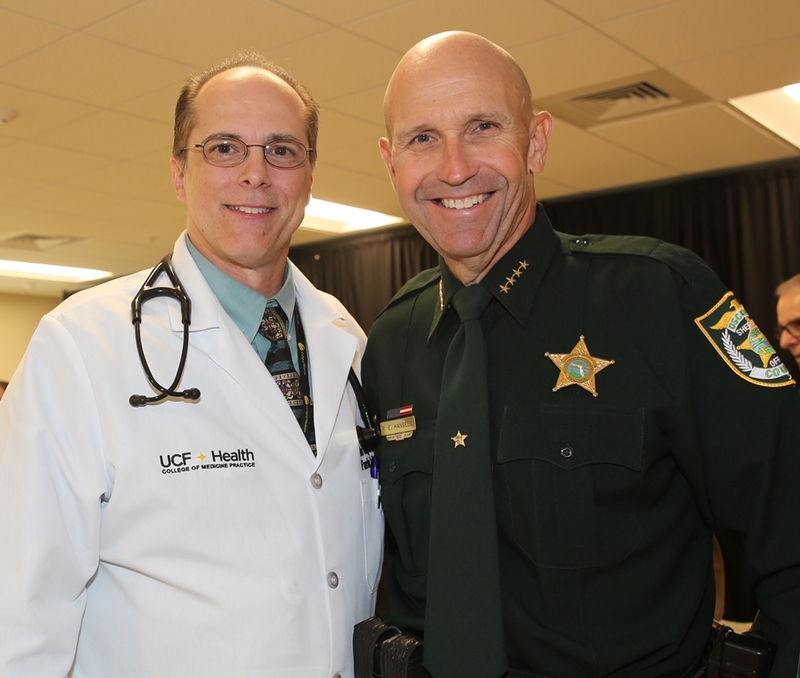 During an opening event at the center, Osceola County Sheriff Bob Hansell said he asked the College of Medicine to help establish the clinic to provide the highest quality care for employees at a convenient location and to reduce his agency’s healthcare costs for taxpayers. The center’s physician is Dr. Luis Mojicar, a family medicine physician who has been caring for patients in Central Florida for 18 years. He is a faculty physician at the UCF College of Medicine, a certified integrative medicine practitioner and has been honored for excellence in medical education and the art of teaching. The sheriff’s 1,400 employees, eligible retirees and their family members are eligible for care at the center. Jason Tomlinson, My Health Onsite’s director of operations, said the center’s emphasis on early detection and prevention will help cut the county’s healthcare costs.